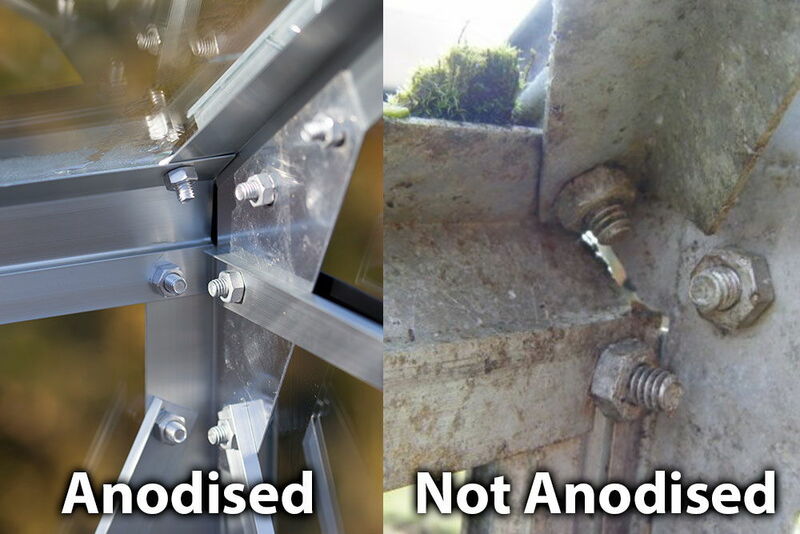 4mm Twin Wall Polycarbonate Glazing is ideal for family gardens where safety is the No 1 priority. 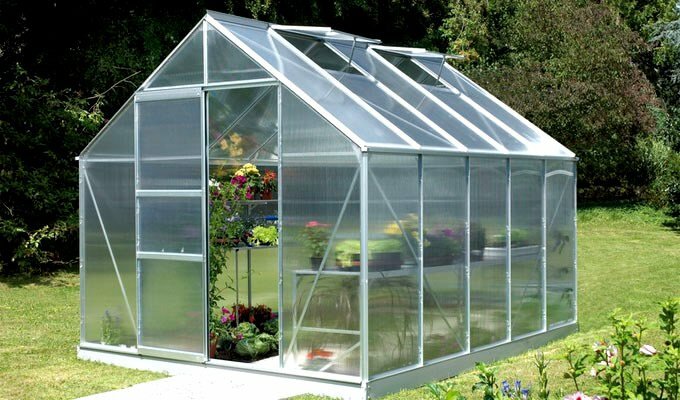 It's virtually unbreakable so kids and pets can play around near the greenhouse without risk of injury. 6mm Twin Wall Polycarbonate Glazing - Great Child Safety and Insulation. Single Sliding Door with latch - Door can be held at any desired position. High Eaves (1350mm) - For Optimum Growing Height. 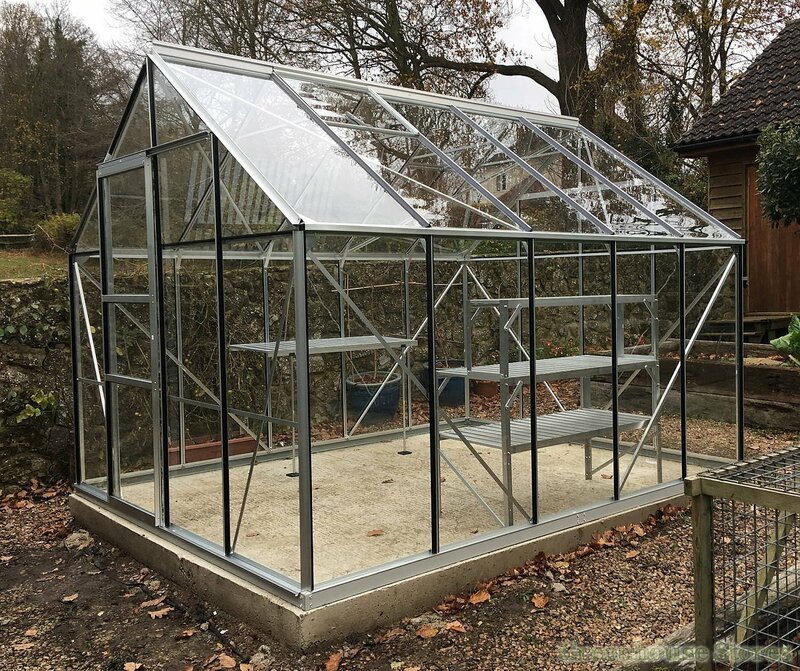 The 8x10 Silver Vitavia Neptune 8300 Greenhouse is a superb 8ft wide large greenhouse at a great price ! The Neptune Greenhouse is a spacious greenhouse for keen growers. 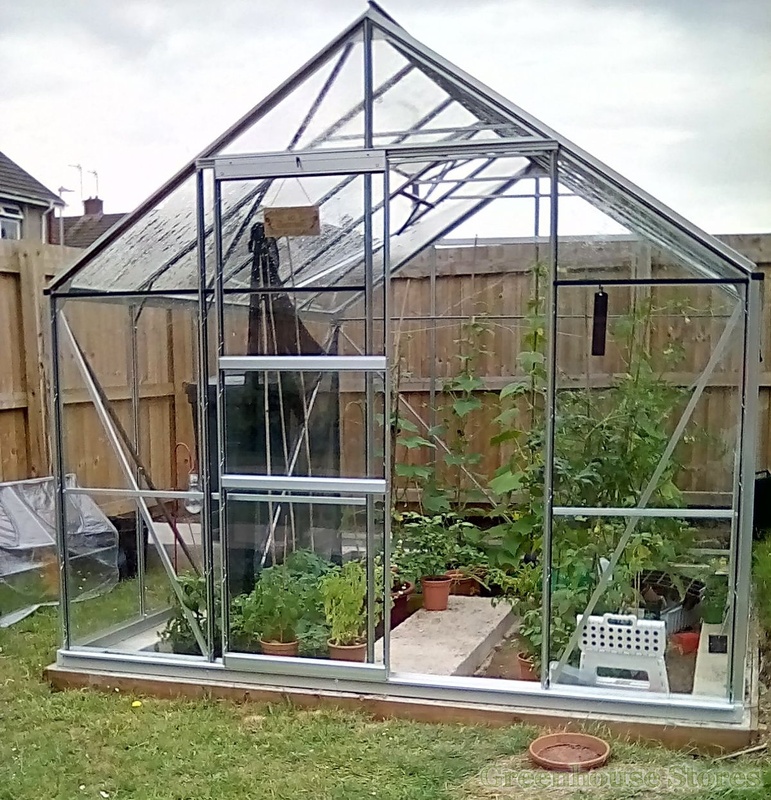 An 8ft wide greenhouse gives those with a bit more space the ability to grow large crops in a very comfortable space big enough for all your growing needs. This Vitavia Neptune 8x10 has 2 opening roof vents for ventilation, a smooth sliding single door and integral gutters.